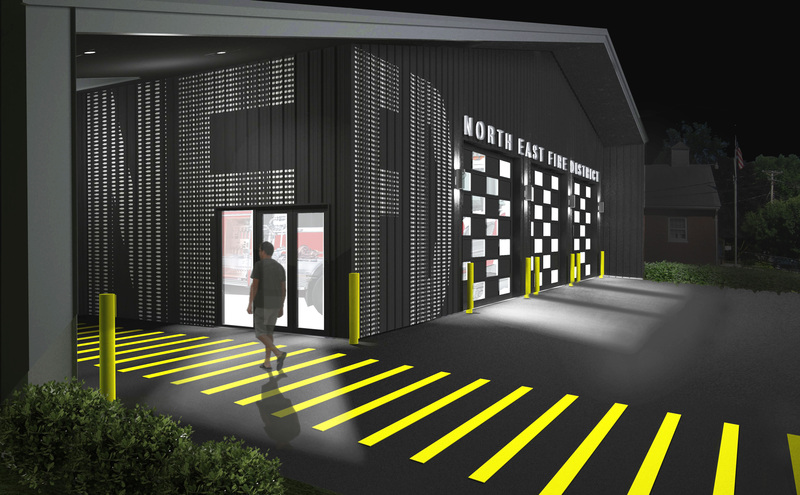 WFORA has com­pleted the design on a new annex building for the Millerton Fire Department. After pre­vious designs by other firms went beyond the department’s budget, we were requested to submit a design solu­tion. Our pro­posal employs an eco­nom­ical and highly func­tional pre-fabricated metal struc­ture. At the same time, simple ges­tures such as red painted accents and accom­mo­dating pedes­trian inter­ac­tion were intro­duced to express a modest civic archi­tec­ture. Con­struc­tion is expected to start this fall.